One of them has hearts over his eyes. 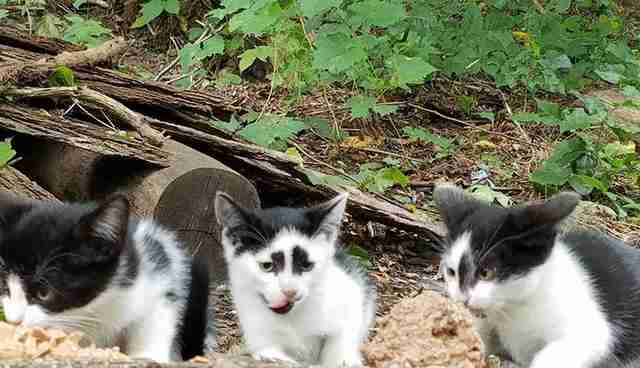 For a minute there, Denise Lauffer thought she'd collected, fixed and adopted out all the stray cats from her neighborhood park in New York City. 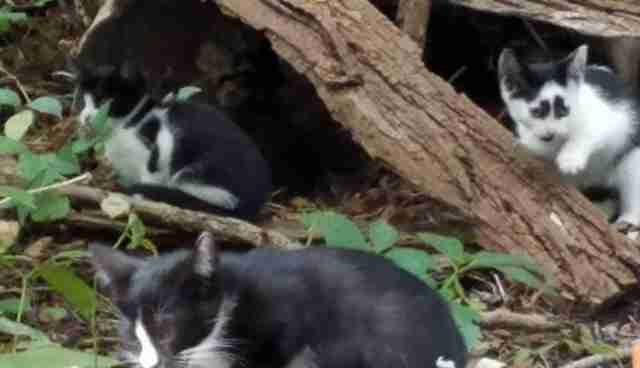 Then last year, dozens more wound up in Highbridge Park in northern Manhattan - thought to have been dumped there after the death of a woman who was hoarding them. 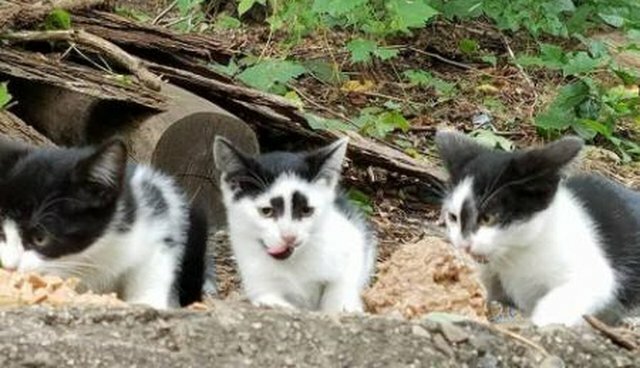 "I've taken all of these cats out of the park, and then I go in one day and all of these friendly cats are running right up to me," Lauffer told the website DNAInfo in the summer of 2015. "I was like, 'What happened?' This was overnight." So, Lauffer - who also rescued an elderly dog who'd been living in the park for a decade, in the winter of 2015 - has been rounding up the kitties again, five or six or so at a time, she tells The Dodo. They've reproduced; there's more than the original batch now. There are so many cats that Lauffer often doesn't even name them. She just gets them socialized, vetted and adopted - and then goes out for more. Lauffer wrangled this latest batch of five kittens - including Mr. Hearts For Eyes - over the course of two days, about a week ago. They're around 10 weeks old, and have been to the vet for dewormings and de-fleaings. They're certified healthy, and super friendly and cute. This includes the little boy with the heart-shaped eyes, who is a bit bigger than the others, and "so easy," Lauffer says. "He's a cutie." And they're all looking for love. 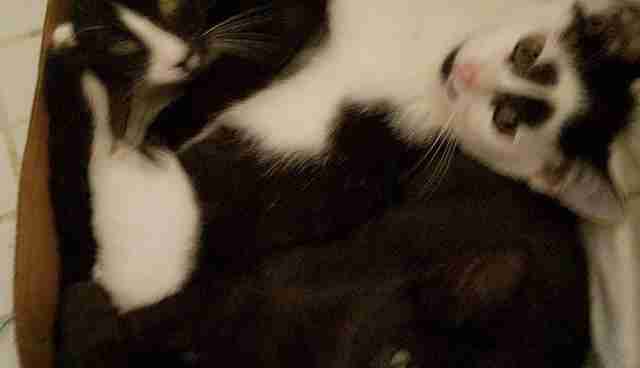 Next step is getting these kittens adopted. If you want to be considered, reach out on Facebook. Do it soon, because the sooner all these kittens are adopted, the sooner Lauffer can get back into the park, where she's got her eye on this group's mom, along with another recently-pregnant cat, and a handful of others. "How could you look at their faces and leave them there?" she says. And for those who've been waiting for an update on Highbridge Charlie, the old dog Lauffer rescued out of the park: He's doing great. Lauffer says "his senior years are very good" - and, unexpectedly, "he loves the cats. Who knew?" If you'd like to adopt the kitten whose eyes look like hearts, or one of the others, get in touch with Lauffer on Facebook.